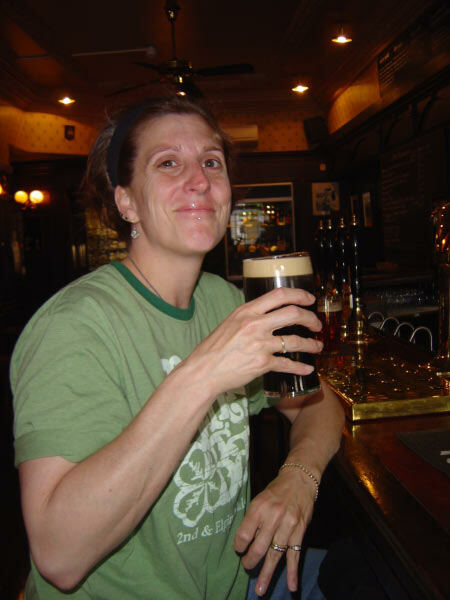 August’s Year in Beer trip, to Merideth’s slight dismay, is about real ale. This trip brings us to England: truly one of the centers of beer in the world and oddly enough, a place we have spent very little time. All of our short visits have been using London as a stopover either on the way to somewhere else in Europe or coming home. 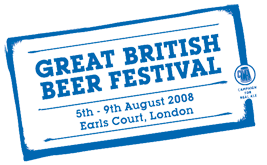 But for the Year in Beer we make up for lost time, spending eight days in England, mainly staying in London to attend the Great British Beer Festival. We begin our trip out in the Somerset countryside with Real Ale Walks. This will be our first journey outside London and we be walking the Quantock Hills. We’ll enjoy the scenery, the exercise and some real ale. We also get to drive by Stonehenge on our way out there. Each day’s walking takes us to a traditional pub for a pint or two of Somerset’s best beer. In addition, the Old Cider House, the guest accommodation, has a half-barrel microbrewery, brewing beer for the house and local pubs. After a few days of acclimation in the countryside, we return to London for the Great British Beer Festival. Sponsored by the Campaign for Real Ale, the Great British Beer Festival draws over 60,000 beer enthusiasts in a five day span. And unlike American beer festivals where you get samples, at GBBF, you purchase pints or half pints. We will be sure to find out if that is a good or a bad thing. And much to Merideth’s delight, there is a foreign beer bar where she can get her beloved German lager. We will also be volunteering for the Thursday day session, so if you are attending, we’d love to pull a pint for you. Our plans only have us going to three of the sessions, giving us plenty of time to explore greater London. Our friend Paul, the cellarman at the Old Fountain, is setting up a few brewery tours for us, including Red Squirrel – something I am really looking forward to. Heck, we might have enough time to do tourist stuff like visit the Tower of London, ride the London Eye or take a Thames River cruise. Whatever, we end up doing, I guarantee there will be plenty of real ale and good times. Even though I am still a few behind Chris, I hit a major milestone yesterday: I visited my 350th brewery at Fuller’s here in London! There were 5 of us on the tour and we were all beer people. This was good because the guide, Jane Peyton (she has a pub architecture book called Pub Scene), didn’t bother with all the finer points of the brewing process that we have heard a bizillion times before. Instead, she gave us Fuller’s history, breezed through the tour, and then let us spend the rest of the time tasting beer. She even opened a bottle of the Fuller’s Vintage from 2005! It was 8.5% and had a strong alcohol taste. The hands down favorite, however, was the Chiswick Ale. Another highlight on the tour was when we approached the fermenting room. At the door was a CO2 meter, which was blinking red and beeping! That meant that the CO2 level was too high to go in. However, as we stood nearby, continuing the tour, the meter suddenly turned green and stopped beeping. It was apparently now safe to enter, which we did. I made the others go in first since I wasn’t interested in being the canary. The Fullers tour is something everyone should try to do when they are in London. Fullers is the last of a dying breed… not only are they still a family-owned independent brewer (a dying breed in itself), they are also the last of the historic London breweries. Oh, they also have the oldest wisteria in England. As usual, we started out our trip with a bang. Today, I think, is the beginning of not feeling so groggy. . .just in time for Germany. I have to admit, I am looking forward to moving onto Munich. Don’t get me wrong, London is really starting to grow on us, but I personally can only take so much real ale. I think I am ready for some cold, carbonated helles! We made it safely to London yesterday… our flights were quite uneventful (except for the fact that Damian Lewis was on our flight… For those not a fan of Band Of Brothers, he had the lead role of Richard Winters). We even landed early but that was negated by sitting on the tarmac for 45 minutes waiting for a gate to be available. Even with that delay, we were at our hotel room here at Paddington within 2 hours of touching down. After refreshing ourselves with a quick shower, we headed over to the Old Fountain, our ‘local’ here in London and where our friend Paul is the cellarman. 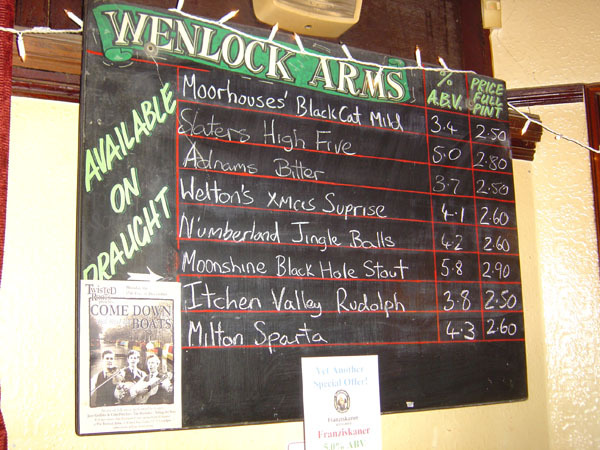 We enjoyed a few cask ales and after Paul got off work, we headed over to the Wenlock Arms. I tried 8 cask ales in the course of the evening… which leads me back to one of my pet peeves in the beer industry in the States right now. Every beer doesn’t have to be over 7 percent… It’s OK to brew a 4% beer. Several of the beers I tried last night were even below 4%. And they were good! The two highlight beers were the Moonshine Black Hole Stout and “Colorado” IPA from Red Squirrel, a west coast style cask IPA. Absolutely amazing! I am hoping to get another pint of the IPA today but Paul says it probably will be gone by the time we get to the Old Fountain tonight. Speaking of counting beers, we were introduced to John at the Old Fountain (and later saw him at the Wenlock) who has a book that lists all the pints he has drank (a tick list or a ‘scoop’ as Merideth likes it called). John’s book has over 9,400 beers listed… something our friend Chris probably would appreciate. What’s on tap for today? Merideth visits her 350th brewery when we take the Fullers tour later this morning. And we are going to visit a few other pubs… and hopefully check out the Chinese terra cotta army at the British Museum… and St Paul’s Cathedral… and Tower of London. I am so excited about writing this post as this means that our trip to Europe in December is a done deal and planning is almost finished. The weather aside, Europe is a special place during the holiday season and we are very pleased to be going back. Visiting with our German friends Ute and Wolfgang. We’ll finish up in Dublin with the Pogues show. This will be our third time seeing them in Dublin and the Pogues Christmas show is always very special. We are going to visit 12-15 new breweries on this trip including touring the Fullers brewery in London and the Augustiner brewery in Munich. How can we call ourselves beer geeks and not have spent any time in London, one of the beer capitols of the world. It’s hard to explain; Merideth and I have been to Europe numerous times and for some reason we have spent very little time in a city that is one of the jewels of the continent, if not the world. This trip we tried to rectify the situation, albeit slowly. On a trip to Normandy, we stopped over in London on the front and back ends, spending two days total in London. Following is the highlights of our first (and not last) London beer adventure. What is the first thing Chris and Merideth do when they are in London? British Museum? Buckingham Palace? Westminster Abbey? No, we head straight to the Young’s Brewery. 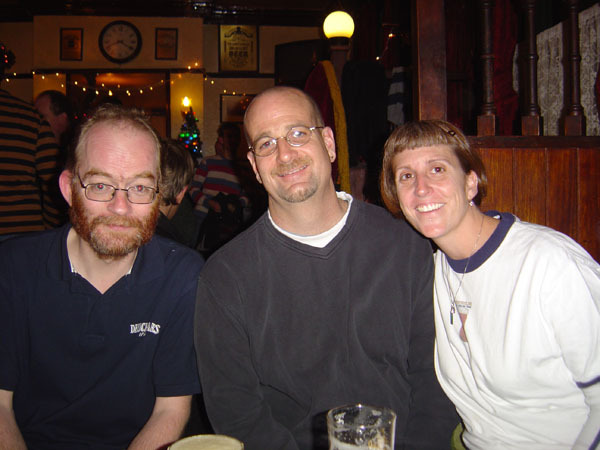 This part of our London adventure was short; we were leaving for Paris the next day and so I was anxious to get some pints. Merideth and I arrived in London around 12:30pm and after checking into our hotel at the airport and having a quick shower, we headed to central London. 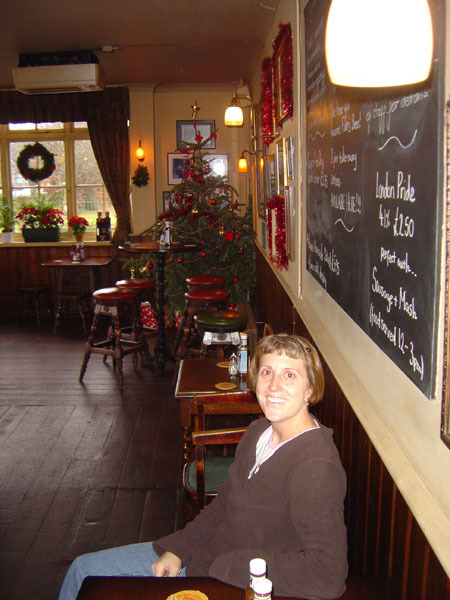 By 3:30pm we were at the Young’s Brewery taproom [East Putney tube] where I enjoyed some wonderful cask ales and Merideth had a Double Chocolate. After Young’s, we hopped back on the Underground and headed for Parson’s Green, the location of the famous White Horse Pub [Parson’s Green tube]. The White Horse is a big part of the real ale revival in England and has a great selection of beers as well as good food. Despite the jetlag starting to kick in, we headed to the West End and had some beers at the a-bit-too-hip Mash [Oxford Circus tube] as well as popping into The Guinea, a Young’s house whose building dates to the 1400s. We ended up finishing our evening at The Star [Knightsbridge tube], a Fullers house with great food and a friendly staff. We returned to London ten days later and after a major delay getting through passport control, we again headed straight for central London in the late afternoon. We started out at the Brew Wharf [London Bridge tube], a brewpub with only one beer, a cask bitter, but also with a impressive selection of guest beers. 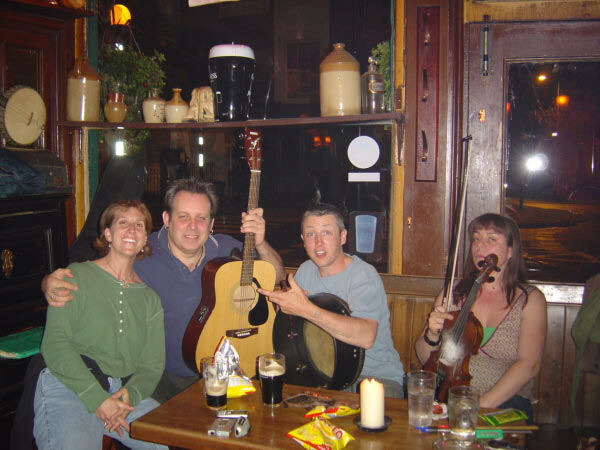 We are big fans of the London punk band Neck [London-Irish Psycho-Ceilídh] and members of the band regularly play a trad session at the Hemingford Arms in Islington [Caledonian Road tube]. So after Brew Wharf, we hopped on the tube and headed for Islington. The Hemingford was a great pub and we enjoyed wonderful ales, Thai food and Irish music. When we were trying to find the ‘Hemy’, a Londoner came up to us and asked us where the Hemingford Arms was. He was going there for “Hazel’s birthday party”. So, the Londoner followed us to the pub and later in the evening, Merideth even got to wish Hazel “Happy Birthday”. This was the last day our trip, we were flying back to California the next day. So, we actually did some of the normal tourist things; British Museum, Imperial War Museum, walked along the Thames, etc. We did lunch at a brewpub called Bunker [Covent Garden tube]. Our afternoon WAS supposed to be taken up by a trad session at the London branch of the Porterhouse. I am a great fan of the Porterhouse; I think they make the best beer in Ireland and when we are in Dublin, we are frequently/always found at the Porterhouse in Temple Bar. In fact, we almost exclusively drink there. So, it is hard for me to say something bad about them… but… We get there at 3:20 on a Sunday afternoon and they would not let me in because I was wearing shorts!! Merideth and I have seen pubs in Dublin that have dress codes at night (but not the Porterhouse) but this was the first time we have ever seen a dress code during the day. NO OTHER pub in London had a problem with letting me in that day. Merideth actually went in because we were potentially meeting the cousin of a friend and saw that the place was practically empty. It must be nice to be able to turn away business from dedicated customers. We were quite angry and I can only hope that my non-admission was just the whim of the no-neck Neanderthal working the door. When Merideth and I have a pub, only people wearing shorts will be allowed in. 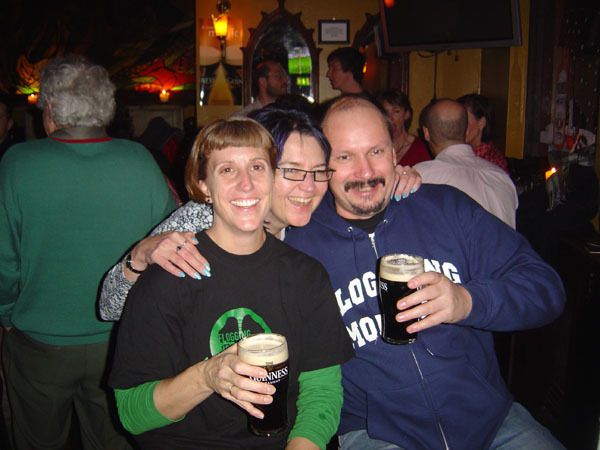 We ended up back at the Star and met a really great London-Irish couple. It was one of those great moments where we went in for a pint and stayed for four. The craic was great that evening. So, there was a silver lining in not getting into the Porterhouse; we would not have gone back to the Star if I had gotten in. Overall, we had a great time in London. We met some great people; the cask ales were great and we can’t wait to visit London again.